Over the last 3 years Studio Four have been working with Southampton Solent University and Brymor Construction under a Design and Build Procurement route to complete 3 floors of office refurbishment at the University’s Business School. 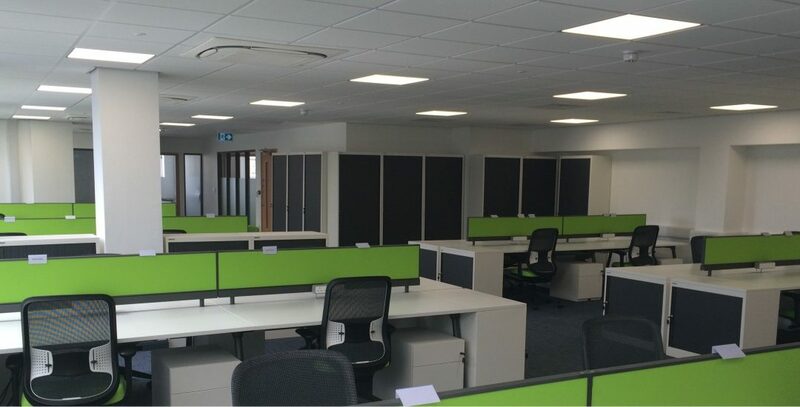 This year saw the completion of the third and final stage of the project on the first floor, forming new open plan office accommodation with a small number of meeting rooms and the refurbishment of existing circulation areas. The new spaces formed are light, bright and airy creating an ideal environment in which students are able to work and study. The 3 month programme on site saw the completion of works in August of this year, ready for the students to move in for the start of the new term in September. Lakeside is one of only a few schools in Hampshire to provides education for EBD pupils, and is the only school to provide residential boarding accommodation as well. The scheme was conceived from the University of Winchester’s demand for social learning spaces.